Satin Body® Revitalizing Shea Scrub instantly polishes skin to perfection and leaves it feeling invigorated. Delight in how Satin Body® Revitalizing Shea Scrub instantly polishes skin to perfection and leaves it feeling invigorated and refreshed. Gentle enough to use daily, the scrub exfoliates and immediately buffs away dry skin while leaving it feeling moisturised. You’ll love how your skin feels revitalised, satiny-smooth and touchably soft. Use during bath or shower time, apply, then scrub gently, washing off dry skin, leaving it smooth and supple. 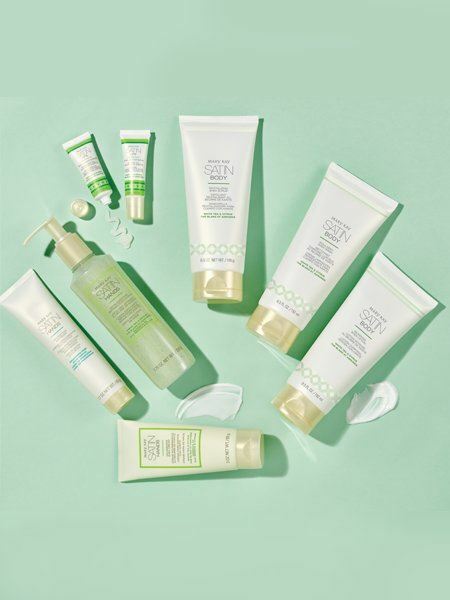 Check out our other amazing Satin Body® products for glowing, softer skin. In addition to enriching shea butter, it’s also formulated with conditioning sunflower oil.